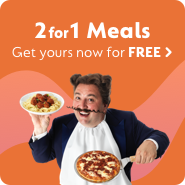 GoCompare holidays for some Halkidiki blinders! Often overlooked in favour of more renowned Greek holiday destinations like Santorini, Athens and Rhodes, Halkidiki remains one of the criminally uncelebrated destinations in Greece. Aside from its olives, of course - available at a local supermarket near you. Cliches aside, Halkidiki is so much more than olives. In fact, it's high time Halkidiki took the bull by the horns, hit the ground running and really moved the tourist needle. Okay, so that's three more cliches, but you get the idea. The beautiful, serene landscapes of Halkidiki deserve some attention, and it's about time this unrecognised destination gets the recognition it deserves – and it starts right now. Found nestled on the north-eastern coast of Greece, Halkidiki is geographically classified as Central Macedonia. Featuring Mediterranean forests that succumb to sandy beaches and shady bays, the clandestine Greek location is a great place for those seeking sun, sand and seclusion. Notably shaped like a hand, Halkidiki is distinguishable on a map by its three 'fingers' reaching into the Aegean Sea like three slices of toasted pita in a hefty bowl of tzatziki (...sweet, tasty tzatziki). Sadly these 'fingers' are not gigantic slices of pita (...sweet, toasty pita); they are, in fact, the peninsulas of Kassandra, Sithonia and Mount Athos. Found on the westernmost side of the region, Kassandra is arguably the most popular tourist destination of Halkidiki. When it comes to variety, Kassandra has enough on offer to keep you entertained from touchdown to take-off. The sun-kissed coastline is lined with bars in which to enjoy a sunny cocktail, while the sands of the numerous Blue Flag beaches are as inviting as the warm sea that coats them. There are well over a dozen beaches to choose from in Kassandra, and each one presents an idyllic opportunity to top up on vitamin D.
Meanwhile, the bustling village of Kalithea boasts lively nightlife during the summer months, making this the perfect destination for those seeking a bit of nocturnal fun as well as days in the sun. What's more, Kalithea also boasts the largest shopping centre in Halkidiki, with everything from restaurants and bars to gold shops and go-karting. A more adventurous option than its aforementioned cosmopolitan sister, the peninsula of Sithonia is a favourite among those with a taste for exploration and the great outdoors. If your idea of enjoying the sun extends past lying on the beach, Sithonia could well be for you. Sprawling pine forests welcome secluded coves on the coast, while the variety of walking trails invite you further inland with enigmatic allure. While Sithonia does boast mountainous terrain and enchanting green in abundance, to disregard Sithonia's beaches is a rookie mistake. There are over 100 beaches, ranging from busy ports and lively tourist hotspots to sleepy sand strips and deserted aquatic havens. While Kassandra and Sithonia are both highly popular hotspots for Halkidiki visitors, Mount Athos is very much a closed book. Predominantly made up of a close monastic community, entry to Athos is reserved to men only, and those that are permitted to enter are only granted access under special circumstances. However, if history and culture is your cup of tea, the closed community does boast some impressive Byzantine monasteries and tours of the peninsula are available from Ouranoupolis. If your curiosity has been piqued, a boat trip around Mount Athos could be worthwhile. If you do plan on spending a Greeky weeky in Halkidiki, there are two cost-effective holiday options that are well worth a sneaky peaky. Typically including flights, transfers and accommodation in the overall price, Halkidiki package holidays are a great way of taking the hassle out of the booking process and making your dream trip become a reality. Better still, booking up as a package deal can be surprisingly economical. Travel agents are able to book up flights and hotels in bulk - this in turn gets them a higher discount that they can pass on to the customer. Perhaps best of all, booking a package deal through a travel agent also usually comes with ATOL and ABTA protection, keeping you covered, in case any problems arise along the way. With all your holiday needs neatly wrapped up in one convenient bundle, these holidays are aptly named and truly do provide the total package. Arguably the undisputed king of the stress-free holiday, the all-inclusive route is the ultimate in ensuring carefree relaxation. All-inclusive holidays in Halkidiki give you unlimited access to food and drink from the time you check in, allowing you to truly indulge 'til you've got your fill. Whether you're in need of an extra coffee or two after a late night, or if you simply fancy going back for seconds come dinner time, the world is your oyster - and those oysters are included in the price. It also allows you the freedom to chill out without having to worry about carrying cash with you, which can be a particularly useful perk at poolside. While this does usually include most food, drinks and on-site services within the hotel – such as gym use, etc – it's worth noting that there may be exceptions. As such, it may be worth asking before you settle down in for a lengthy spa treatment or begin free pouring your own Grey Goose. If you’re dead set on finding cheap Halkidiki holidays, tactical booking can be hugely advantageous. If you've mapped out where and when you want to go, booking up early can be a great way to shave a few quid off your holiday expenses. Travel agents typically increase the cost of holidays as the months elapse, so the earlier you book, the better. On the other hand, last-minute holidays to Halkidiki also present some great money-saving opportunities. It's not unusual for holiday prices to fall dramatically if packages remain unsold, so a late booking could be the perfect way to bag a real bargain. However, there's no guarantee that any holidays will be available, so this route is far from foolproof. Nevertheless, it can be a great option for anyone that's mulling over an off-the-cuff getaway. Last but not least, using a humble comparison site is a quick and easy way to cut costs year round, regardless of when you book. A simple GoCo search can help you find cheap holidays in Halkidiki instantly, while it can also help you discover somewhere new that may have gone under the radar.